LEO Feinwerktechnik was founded in 1976 as H.R. Leo GmbH – a family business owned by Reinhard Leo and his wife Helga Leo. Right in the year of its foundation the company mission was established to be successful with manufacturing and selling seam spirals. 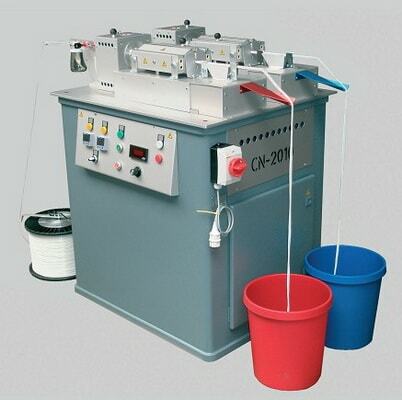 Having taken only three years of development since the foundation of the company, the first spiral winding machine, a machine of the “TR-2000” design, was built and marketed in 1979. Thus the company gained a second field of business: making and selling spiral winding machines for manufacturing spiral fabric. 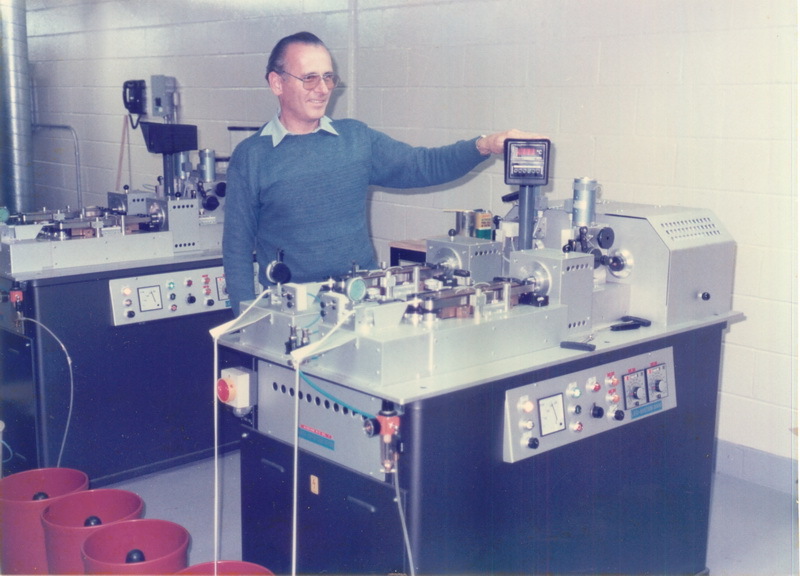 Again just another three years later, in 1982, LEO was able to introduce the first winding machine of the “FD-1600”-series. The FD-series made it possible to wind spirals from flat material. Also the FD-series first introduced the LEO-patented steel-band-heating system, which is a contact heating system with many advantages compared to the established infrared systems. In 1984 a third type of machine was introduced. 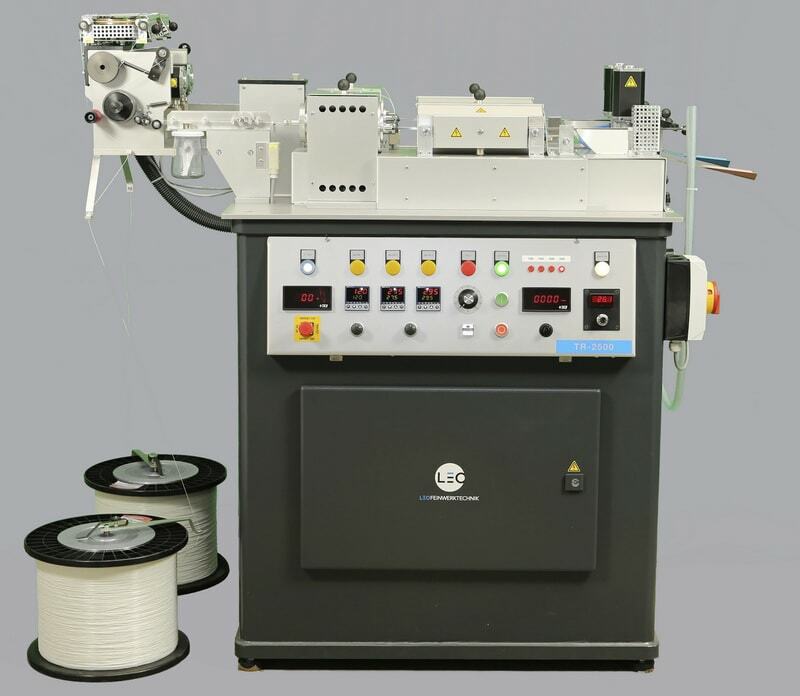 The “UVS-2000” made the innovative contact heating system of the FD-series with all its advantages available to customers who wanted to wind round material only. In the years to follow the relationships to the customers were intensified. Besides countless individualizations and detail improvements upon customers’ suggestions, this also sparked developments for single customers, for example a machine for making round, endless PVC-spirals for binding ringbooks. Additionally these years triggered a most important development for the future. First preparations were made for the company to remain a family-owned business and to continue under the management of the next generation. Besides Martin Leo more specialists could be recruited. They brought their knowledge, ideas and dedication. And they started to acquire the experience and expertise, which today is the greatest capital of LEO Feinwerktechnik. In 1995 an innovation in the original field of business followed. LEO introduced preconfigured conveyor belt connectors for light weight belting with LEO seam spirals, called “LEO-ZIP”. 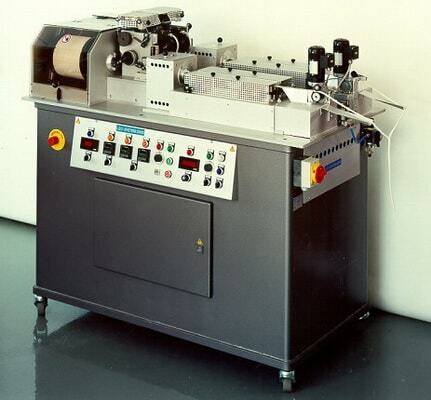 Soon after that, in 1997, LEO completed the development of the first own assembling machine. 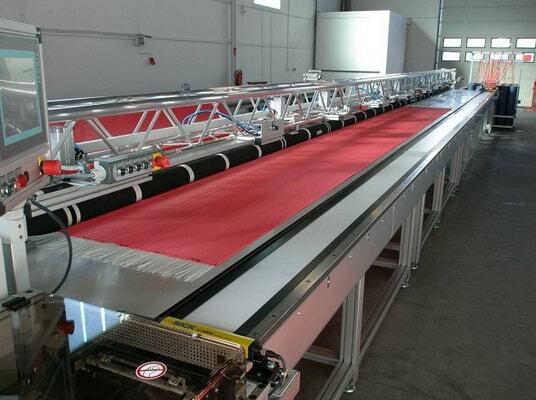 This machine semi-automatically joins spiral fabric segments of an adjustable length. Once a segment has been assembled by the machine, the operator joins the segment to the earlier segment. While the operator is doing that, the machine already prepares the next segment. This process can be repeated until the desired length has been reached. In 1998 LEO was certified under ISO 9001. At the same time all spiral winders were revised. Since 1999 all series of machines offered by LEO belong to a completely new generation. In 2001 LEO celebrated 25th anniversary. Just shortly after the 1999-revision of all spiral winders, additional fine-tuning on the machines followed. So in 2003 it became possible to make better use of the potential of the just recently introduced components. Increased RPM-levels offered a major increase in productivity to all customers – this started off the high-speed era in the spiral making business world-wide. Already in the years before, LEO supplied pintle wires upon customer request. Since 2004 LEO officially offers pintles. At the same time the product range was expanded. Choosing innovative, especially high-grade materials yielded an outstanding quality. Finally LEO introduced a new coding system, which defines all properties in one easily understandable order number. After the progress made in spiral winding, the 2005 groundbreaking innovation became the semi-automatic stuffing table “STU-30”. Only one year later, the specialists at LEO managed to combine assembly and stuffing. 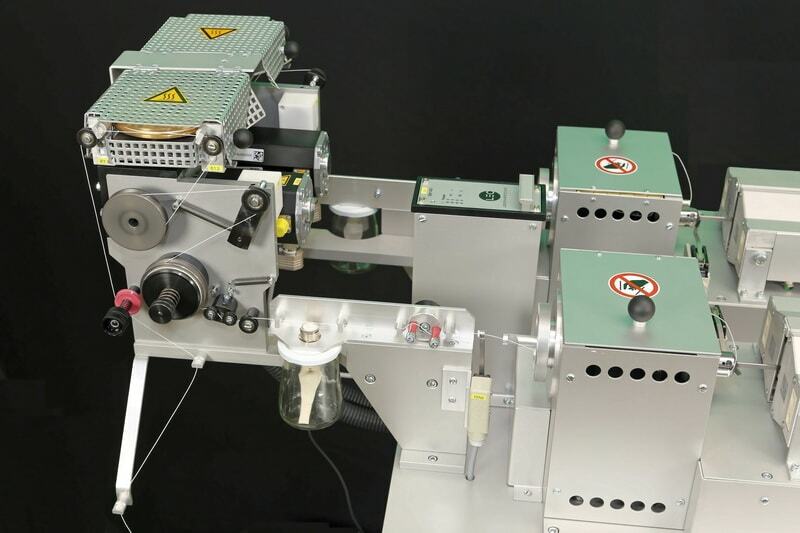 The AS-60/combination executes both, assembling and stuffing, as one production step. Following customer requests, LEO introduced an independent new series of machines in 2010. The new types “CN-2010”, “FD-2010”, “AS-2010” and “STU-2010” were developed as an economically especially attractive alternative, e.g. for companies just starting their own spiral production. Of course there are no compromises in quality of the machine. Having undertaken a lot of basic research in 2014, LEO again introduced a new generation of spiral winders. The new top model is the FD-2300, which winds flat material with up to 2300RPM – an increase of almost 40% in productivity! Also there is good news for the owners of earlier generation FD-1600. We designed a retrofit, making the new level of productivity available to them, too. The winders of the TR- und UVS-series now run speeds of up to 2500RPM. This increase became possible through innovative mechanical and electronical components including matching controls. Further innovations for the upcoming years are already in preparation at LEO. Continuous improvements and innovation will keep on making LEO a partner in the advancement of spiral production. In the year 2016 LEO Feinwerktechnik celabrated their 40th annivery 40! We are very happy to celebrate this anniversary and to look back on the successes we were able to achieve together with our customers and suppliers.